In a recent post, we discussed the trademark parody defense in the context of a California district court decision holding that the owner of the Superman “S” logo had adequately stated infringement claims asserted against a “DAD” t-shirt with a shield design allegedly parodying the Superman logo. Parody has made legal news yet again, but unlike in the Superman case, the defense was successful. In Louis Vuitton Malletier, S.A. v. My Other Bag, Inc., a case involving claims for trademark infringement, trademark dilution and copyright infringement, a federal court in the Southern District of New York granted summary judgment for the defendant on all counts. The court held that defendant My Other Bag had convincingly argued that its product was a parody of Louis Vuitton’s iconic handbag and, as such, did not violate Louis Vuitton’s intellectual property rights. Given the complexities of the parody defense and the mixed case law in which plaintiffs often prevail against satiric (sometimes disparaging) products, the outcome favoring My Other Bag might have been difficult to predict. The court thought differently. It suggested that Louis Vuitton “cannot take a joke” and held that its arguments were entirely meritless. As the court explained, My Other Bag “was inspired by novelty bumper stickers, which can sometimes be seen on inexpensive cars claiming that the driver’s ‘other car’ is an expensive, luxury car, such as a Mercedes.” The dispute between the parties stemmed from My Other Bag’s use of images on some of its tote bags intended to evoke Louis Vuitton’s classic bags, with the interlocking “LV” or “Louis Vuitton” replaced with an interlocking “MOB” or “My Other Bag.” As one would expect – and as the court noted more than once – My Other Bag products are relatively cheap at approximately $30 to $55 each, a fraction of the cost of even the cheapest Louis Vuitton bag. 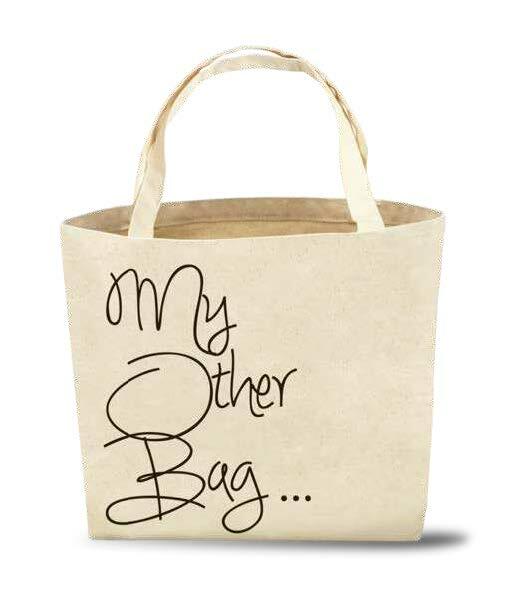 Applying the above standard, the court found that the My Other Bag canvas bag parody was obvious — the whole point was that the tote bags were not the luxury goods being parodied. In a somewhat perverse result for Louis Vuitton, the court reasoned that “the image of exclusivity and refinery that Louis Vuitton has so carefully cultivated is, at least in part, the brunt of the joke.” The fact that the canvas bag was so obviously a parody also led to the court’s rejection of Louis Vuitton’s trademark infringement claim. 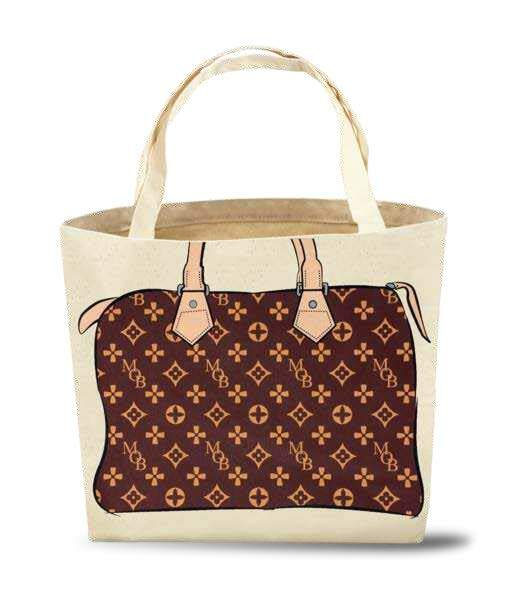 As the court held, “[N]o reasonable observer is likely to infer from the cartoon-like bag-within-the-bag design and the juxtaposition of [My Other Bag’s] basic, canvas tote with the exclusive, luxury status of Louis Vuitton that Louis Vuitton sponsors or otherwise approves” of the tote bags. The My Other Bag decision raises some interesting issues regarding the parody defense. First, the court emphasized My Other Bag’s intent to parody, but did not delve into the question of whether consumers received this message from the bag. The court obviously got the joke, but was there evidence that consumers did as well? If not, is it really parody? Second, the court seemed to assume that My Other Bag was making a statement about Louis Vuitton or high-end fashion items in general, which was deemed sufficient to satisfy the “commentary” aspect of the parody defense. Is this justified? Do the purveyors of high end designer products just have to accept that their products are going to be the lawful target of satire on the ground that the “commentary” required for the parody defense is self-evident? Finally, the court rejected Louis Vuitton’s post-sale confusion argument that consumers might be misled about the origin of My Other Bag’s product if they saw only the side with the Louis Vuitton-lookalike image and not the “My Other Bag” side. The court found this theory of infringement to be based on a hypothetical scenario that did not warrant a finding of likely confusion when the “overall impression” of the products, in the context in which most purchasers would encounter them, would not cause confusion among reasonable prospective purchasers. While it was a creative argument, Louis Vuitton lacked the necessary evidentiary support to prevail on this theory. Finally, the court held that its analysis of the parody aspects of the My Other Bag product compelled the conclusion that the products qualified for the fair use defense to copyright infringement as a matter of law. In conclusion, the court acknowledged Louis Vuitton’s self-description as an active and aggressive enforcer of its trademark rights, but observed that ‘in some cases, it is better to ‘accept the implied compliment in a parody’ and to smile or laugh than it is to sue.” Given Louis Vuitton’s penchant for filing trademark actions – notwithstanding My Other Bag’s success on the parody defense – we’ll have to see if Louis Vuitton takes the court’s advice. If it does not, it must surely hope that the next court will have a less robust sense of humor. Previous story The “Smart Phone” Wars – Episode VII: Will the Force of the Supreme Court Awaken?